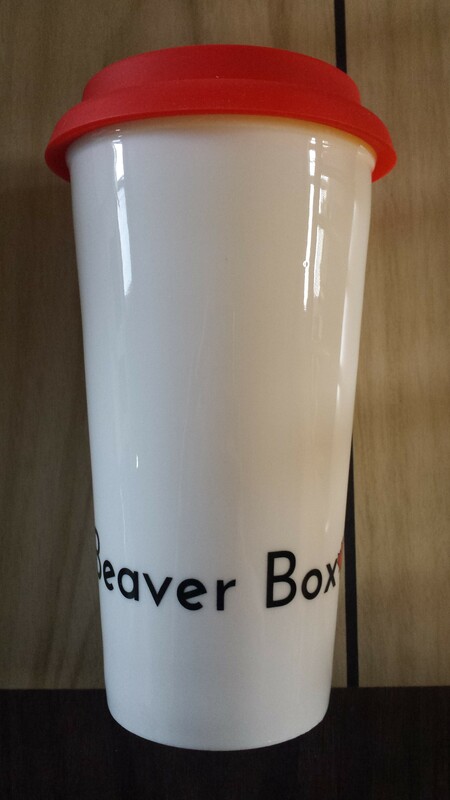 This is my third Beaver Box. 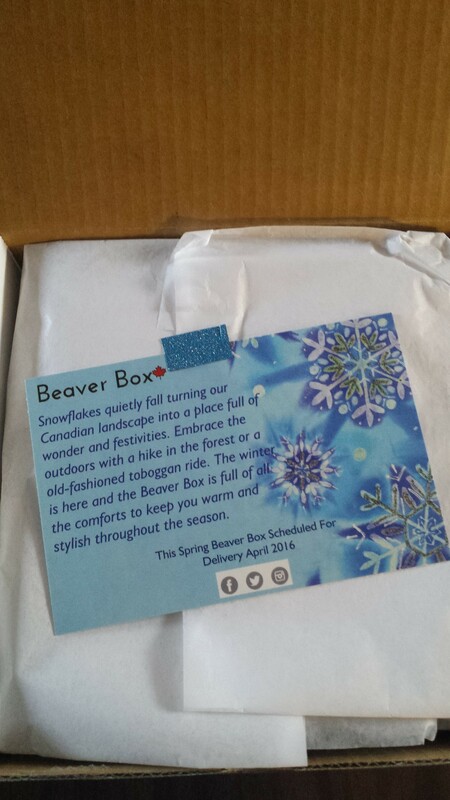 They are a quarterly Canadian women’s box that will include something fashion, food, beauty, and home, plus always a little extra! They source as much as they can from their local area but do have items from all across Canada. Boxes are $55.00 per quarter or you can get a yearly subscription for $200.00. Let’s see what we got that is just for the Canadian woman. This month they had sent out an email saying that the boxes were going to be late because they were waiting for one of the items and promising shipping by the beginning of February. Once this box arrived there was a letter inside saying that they felt they could wait no longer and had shipped the box missing one piece. They included a bonus item to make up for it along with a $10 credit for your account. I can’t figure out how to apply it but they did give an email you can reach them at if you had any problems so I’ll just drop them a line. 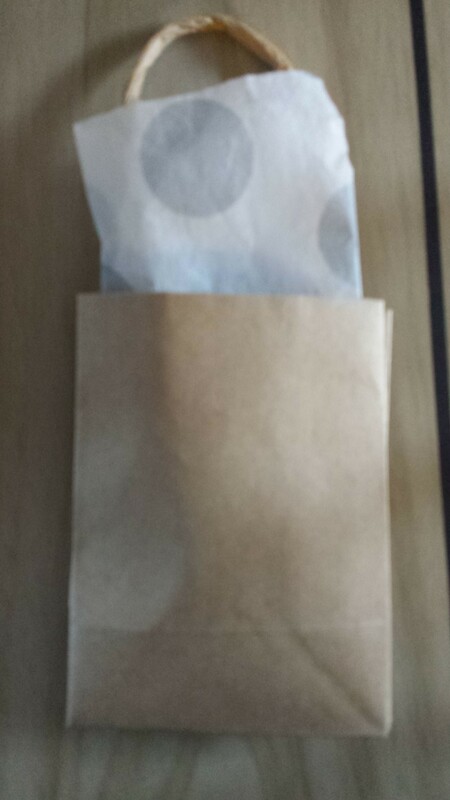 Opening the lid showed the nicely wrapped insides. The letter was laying on top so you saw it as soon as you lifted the lid. Under the paper was a pleasantly full box, which is great to see. 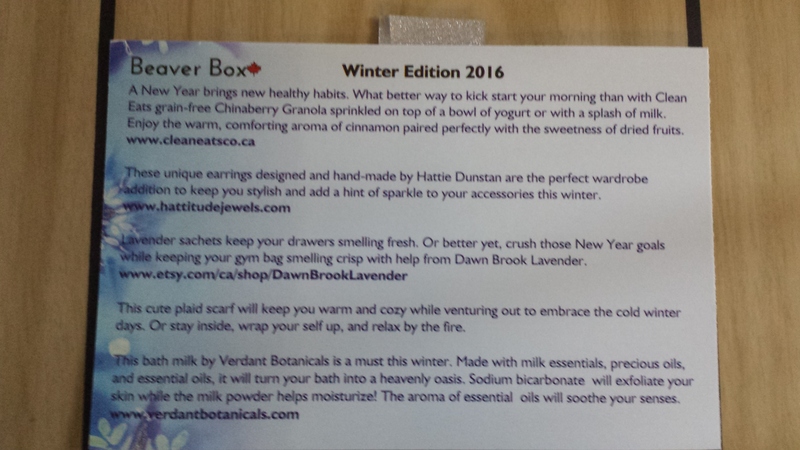 The info card has a little blurb about why Canadian winters are great. The back has a list of the items included and websites where you can purchase them if you can’t get enough. 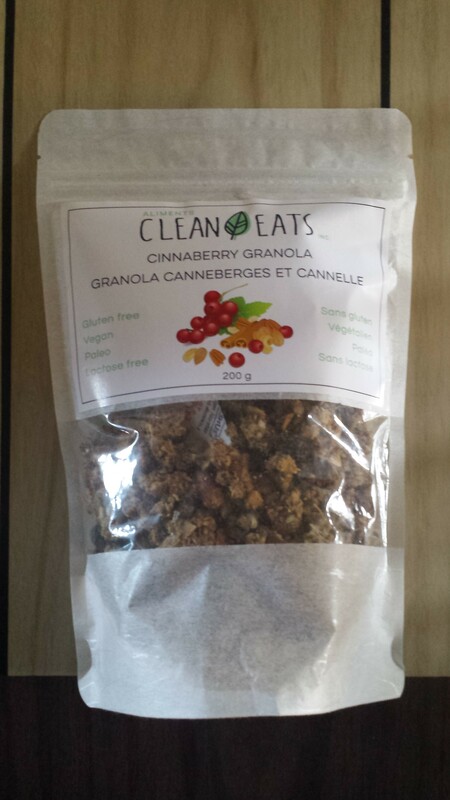 This is a grain free granola that is gluten free, vegan, paleo, and lactose free. It is full of iron, fibre and potassium and has a great cinnamon scent to it. The company is based out of Laval, Quebec and has a range of food items. I have granola on yogurt at least once a week so I’m very happy to get more to try out. 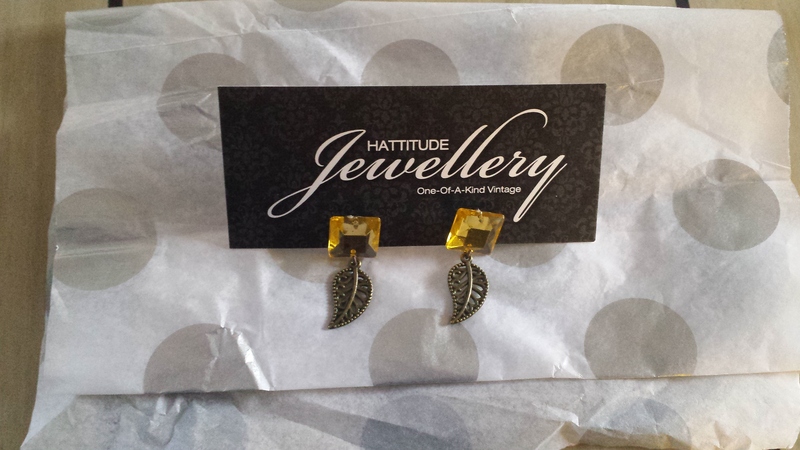 These specific earrings are not shown on the website but the cheapest pair on there is $25.00 so that’s what I’ve used. These are pretty and while not something I would have ever picked out myself I think I will wear them. The only thing I’m not all that happy with is that the “gem” is just a plastic stone and if you’re looking close at them you can tell easily. As soon as you opened the box you could smell this. I couldn’t get a price as her Etsy shop is totally empty right now. My underwear drawer is going to smell awesome!!!! So again I can’t price this because the website has stuff on it but none of the tabs are clickable. 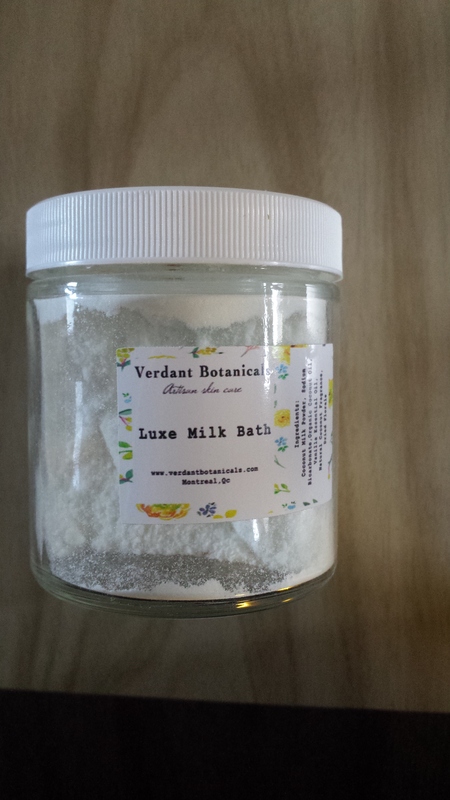 This milk bath is made with coconut milk powder and smells like a pina colada. You could totally think you were floating on the ocean off a tropical island while soaking in this. 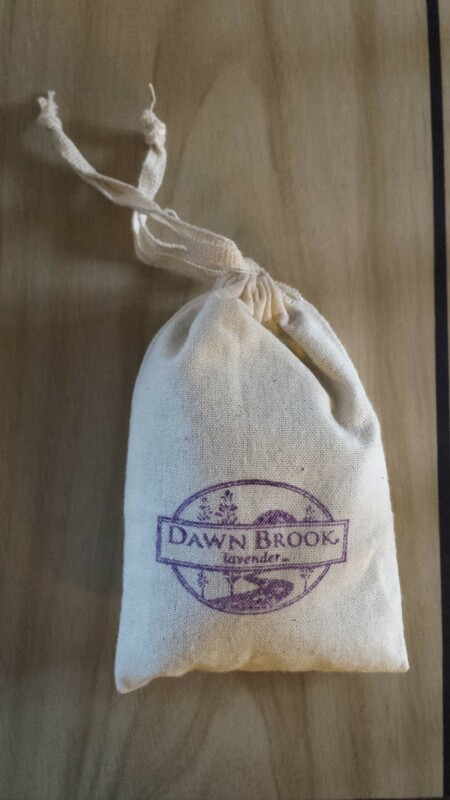 It also has some dried flowers in it and baking soda for the skin softening properties. This is the bonus item they included. It was supposed to be a plaid scarf. 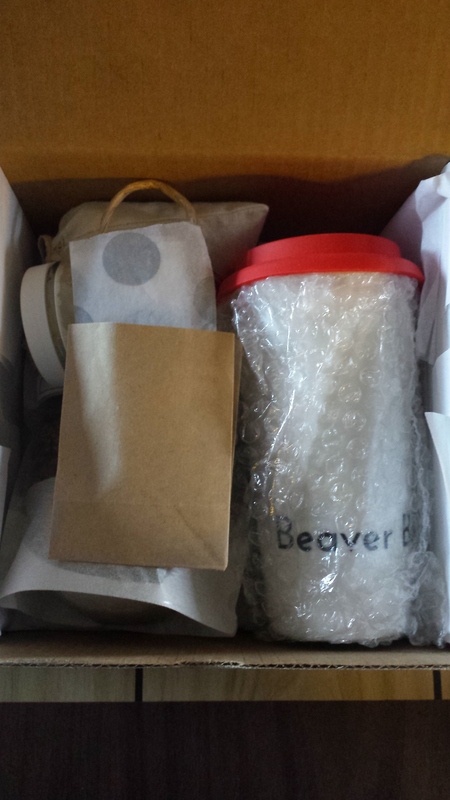 The mug is nice, it’s glass with a rubber lid. I already have one from one of the previous boxes they sent out but I think replacing the missing item with something is a nice gesture on their part. Box three was as slightly disappointing but that is due to the lack of one item more then what was included. Because the scarf is missing they did not cover all the promised categories. I like that the companies are Canadian and that all of these items are available to me, which isn’t always the case. The box had a value of $34.00 plus the three items I couldn’t price, so I think it will be close to what I paid this time. Canadian boxes are not to common so I’m liking this one for the variety provided. If you want to check them out click here.